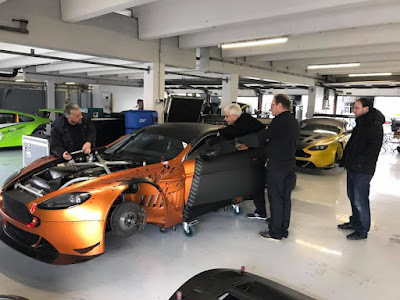 Home > Aston Martin Racing, DMV GTC, hockenheim, Lienau, RL, Scheibner, Vantage GT3 > Have you missed the Vantage V12 GT3? If over the winter months you have been missing the dulcet tones of an Aston Martin Racing V12 engine screaming its way around a race track in Europe, then you will only have another couple of days to wait before that happens again! Amongst the twenty three entries into this weekend's opening round of the German DMV GTC (Grand Turismo/Touring Car Cup) at Hockenheim will be one such example of the extremely successful AMR Vantage GT3 in the hands of Shaller Motorsport's Timo Sheibner. 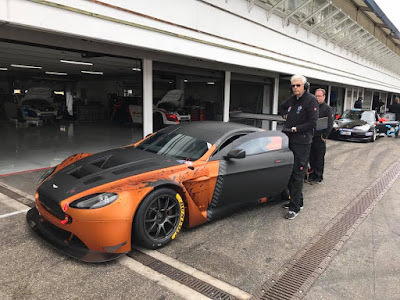 This time running in a striking bronze and black livery, most of us would remember this car as chassis #41 - the car that TF Sports Mark Farmer and Nicki Thiim saw out the end of the 2018 British GT Championship after Farmer all but destroyed his previous car in his opening lap incident at Spa Francorchamps. 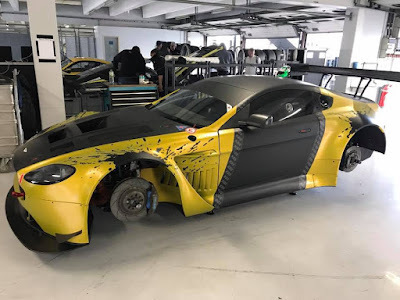 This car, and the gold and black 'reserve' car (chassis 24 - a former MP Motorsport car) seen in the background in one of the images above - as well as further V12 Vantage GT3 to be entered into the next round of the DMV GTC Series later April all belong to a one individual who now owns nearly half the available worldwide rolling stock of the car. 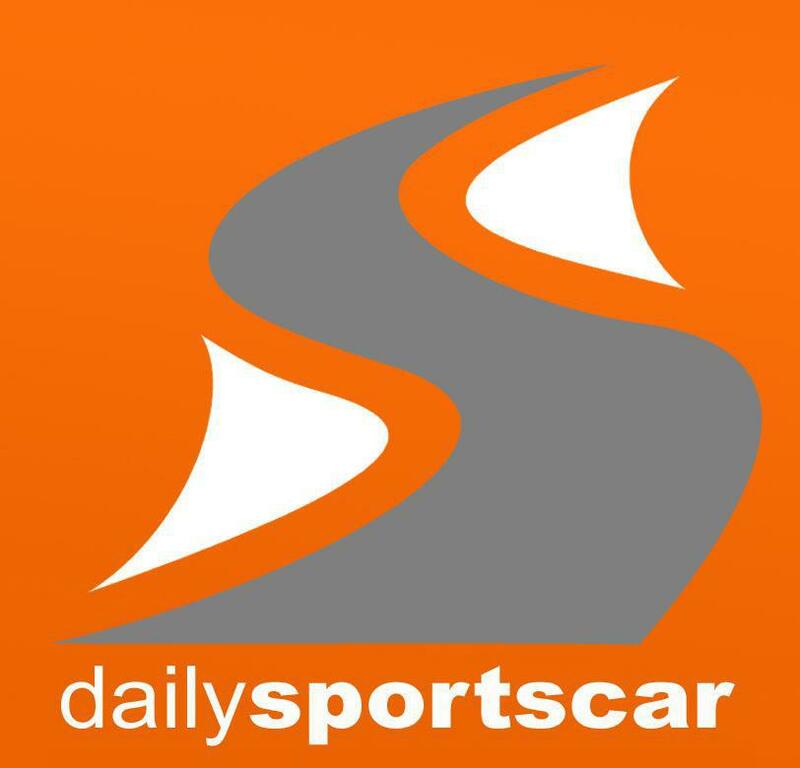 With the Shaller Motorsports car entered into both the GTC and Dunlop 60 events, that creates a tight schedule for team with Free Practice and Q1 for GTC as well as Qualifying and the 60 minute Dunlop 60 race on the Friday (tomorrow) with Q2 and both 30 minute DMV GTC races on Saturday.